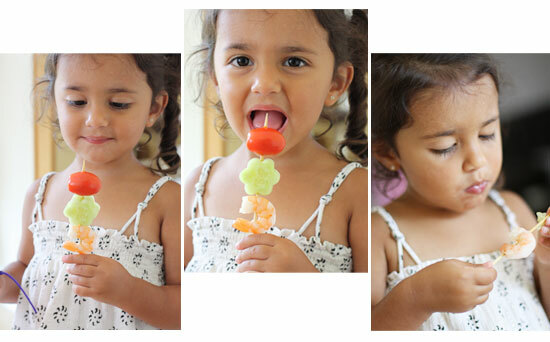 Coming up with healthy lunch ideas for young kids can be quite challenging, but here’s an idea children can’t resist… put their favorite food on a stick! Trust me, it works. 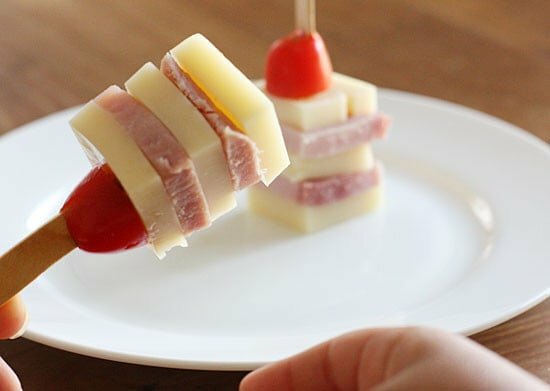 There is something about mini skewers that are so appealing to kids (and adults). Don’t you love food on a stick!? 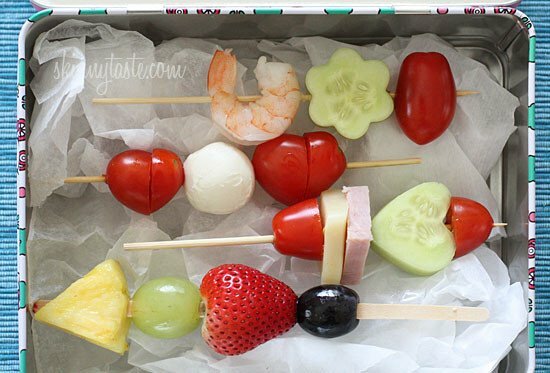 Wouldn’t your kids love to open their lunch boxes to find all their favorite foods on a stick! My toddler isn’t big on sandwiches yet, but if I give her all the elements from a sandwich and place them on a stick her face lights up and she happily eats it. In fact while photographing the food for this post, both of my kids stood by and waited for me to finish so they could eat it. 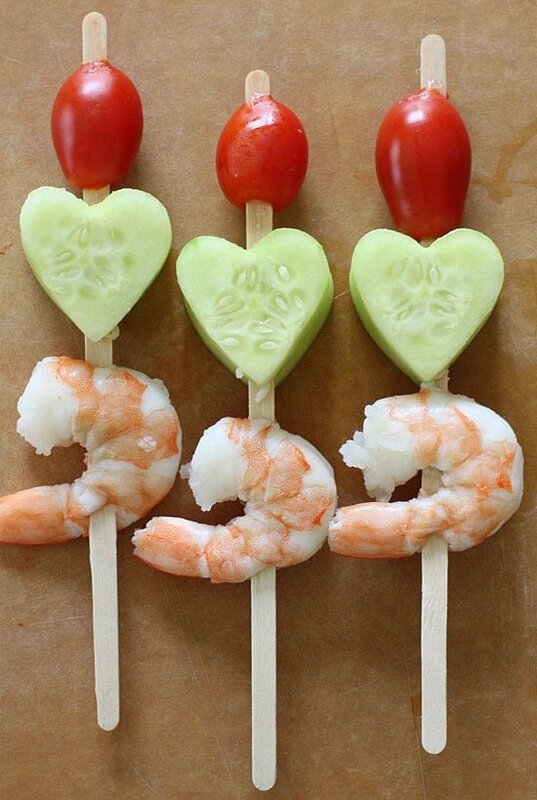 Use the foods they like, cut them into fun shapes and put it on a stick! For teens skewers would work fine, but for younger kids I would use coffee stirrers, popsicle sticks, toothpicks or even mini straws. Here are some ideas that both my toddler and teen loved. I pack an ice pack in the lunch box so the food stays cool. 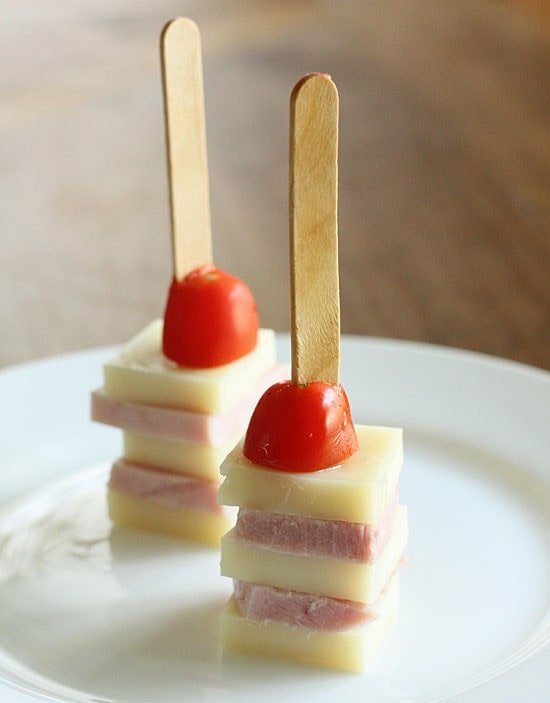 Grape tomatoes and mini mozzarella balls layered on a stick. 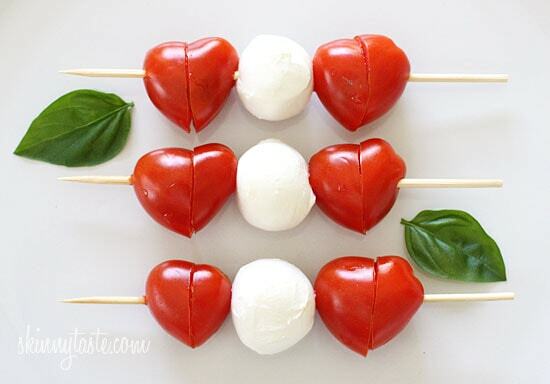 If you cut the tomatoes in half diagonally they look like small hearts. For older kids add basil in between the tomatoes and pack a small container of balsamic vinaigrette. My toddler recently discovered she loves shrimp. 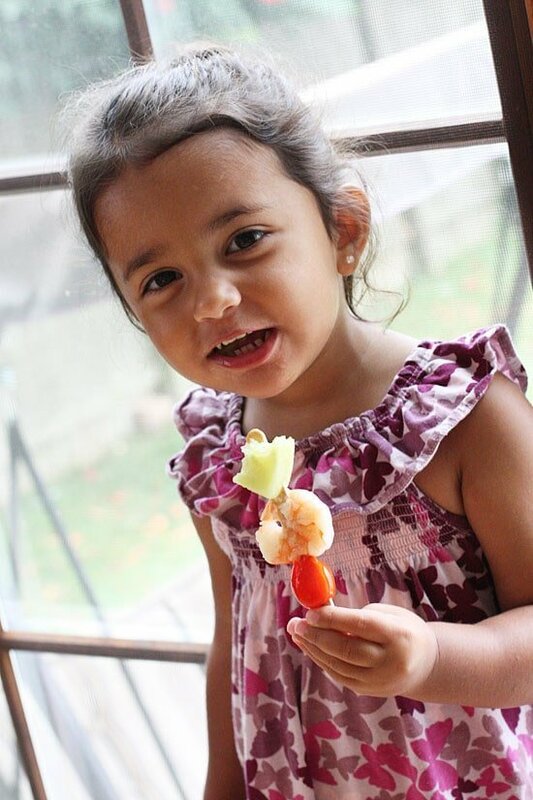 These mini skewers are made with all her favorite foods. Use a cookie cutter for the cucumbers and you won’t have to even peel them! 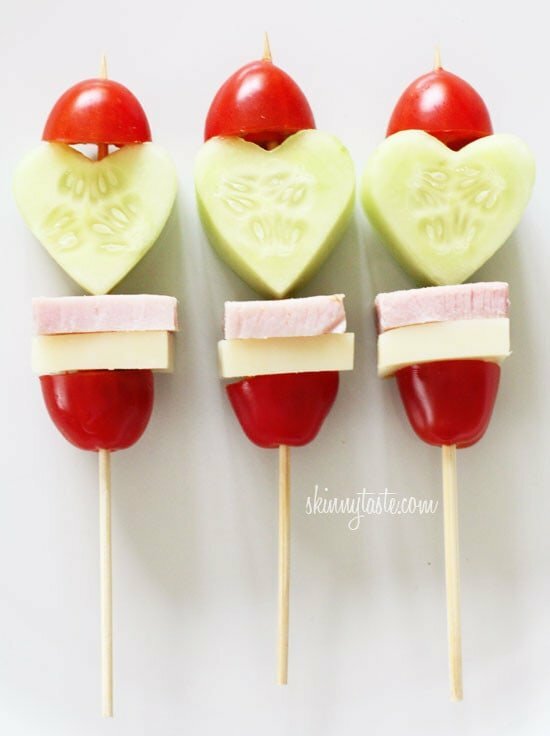 If you want to make these for adults, add some feta cheese and olives and turn them into cute Greek Salad Skewers! Buttermilk Ranch Dressing is perfect for dipping. It’s almost like a chef’s salad on a stick. You could use turkey and whatever cheese your children enjoy. Pack a roll or some crackers on the side. Layer seasonal fruit on a stick and I’m sure they’ll eat it. Choose fruit that doesn’t brown easily such as berries and grapes. Yogurt makes the perfect fruit dip. I would love to hear your ideas, what would you put on a stick for your kids?